Empathy has been defined as the ability to mutually experience the thoughts and emotions of another person. 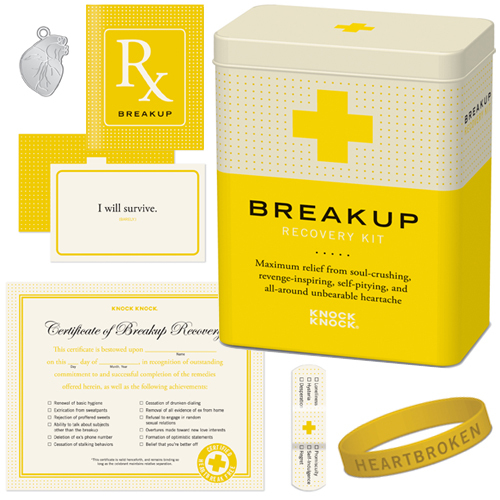 Empathy gifts are one way of indicating to a downhearted friend that you are not just acknowledging their suffering or sadness (that would be a sympathy gift) but that you are ready and willing to walk through their tough times with them. 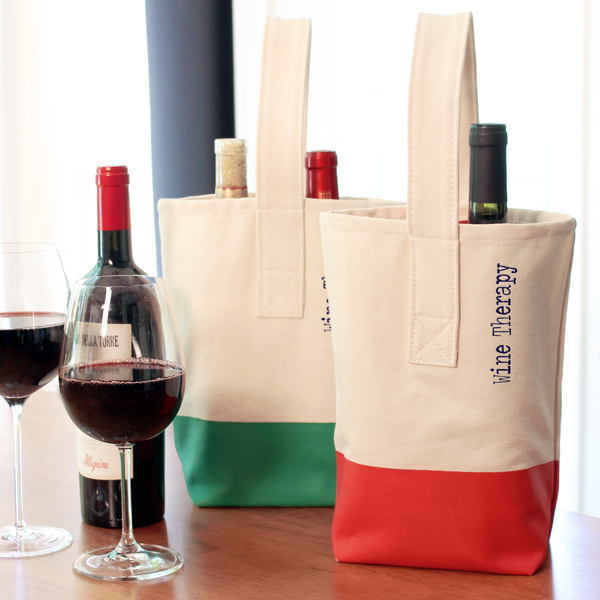 Our Wine Therapy Color Dipped Tote holds two bottles of wine in an attractive and colorful tote bag. Embroidered with “Wine Therapy” up the side in your choice of thread color, if you show up to your friend’s home with this tote, two bottles of wine, and a favorite flick, you’ll show your friend that you are willing to invest your time (and wine!) in being there through the down times. Show unity amongst a group of your closest friends by wearing these Group Therapy Rhinestone T-Shirts. Gather together for a night of collective wine therapy. Gathering friends together and coordinating your attire are two fun and significant ways to physically display your care and empathy for a downhearted friend. Plus, these shirts are re-usable for the next bonding session, and can always be pulled out as an excuse to enjoy some wine together. The card is to show you care, the wine is to show you’re there through thick and thin. 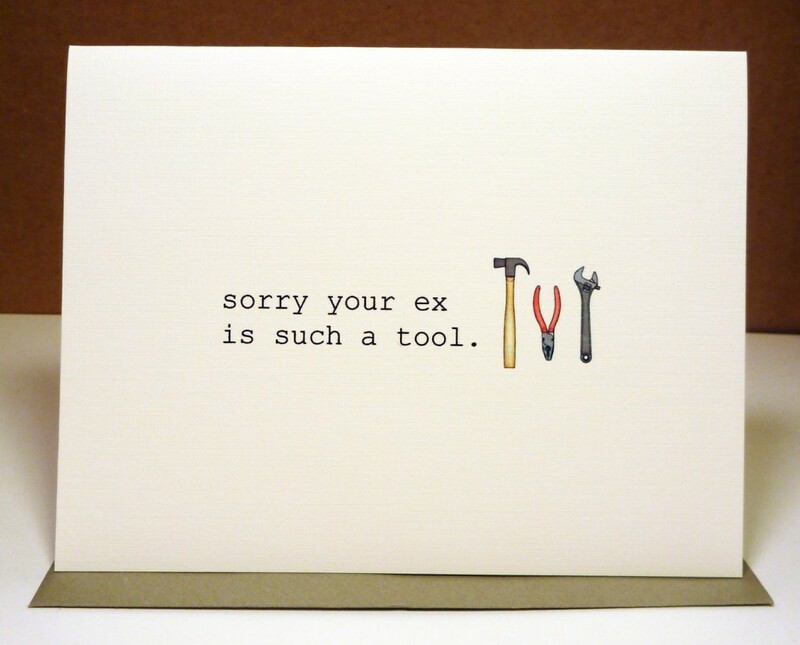 But if you’re going to get a sympathy card, make it pop, like the “sorry your ex is such a tool” card above, and pair it with something passionate like a Montesco red blend Parral. If your friend is in a particularly devestating time, an empathy gift with an eye for the long-term will send an appropriately heartfelt message of your commitment to the relationship. 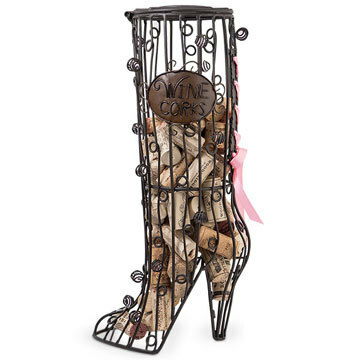 The High Heel Boot Cork Cage not only will hold most bottles of wine (for when you give the gift), it will also provide a sense of stability as you work together to fill the cage with wine corks over many nights of wine therapy. 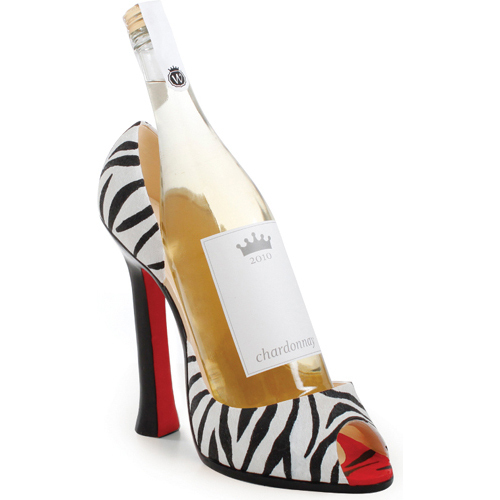 A nice white Chardonnay fits perfectly into the Zebra Striped Wine Boot, providing that delightful sense of wild new possibilities. A great empathy gift for starting off a distracting night of healthy fun. These are our top six favorite Wine Therapy Empathy Gifts! For help on wine pairings, try Diane McMartin’s humorous article in The Hairpin, What Goes With Your Breakup.